An award winning classic hot chocolate recipe hand blended with warming winter spices. A carefully balanced combination of cinnamon, nutmeg and Madagacan bourbon vanilla delivers hints of winter and sitting round a fire. 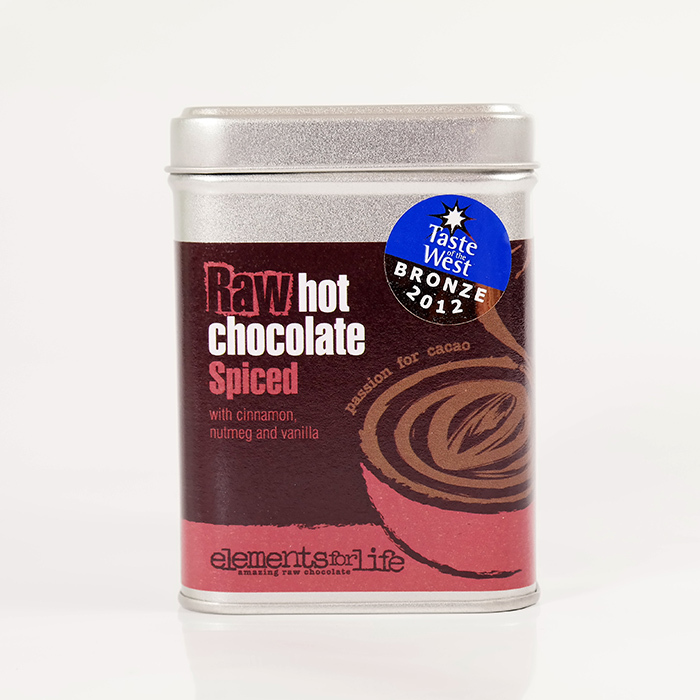 Hand blended combination of raw cacao powder, coconut blossom sugar Elements of Life's award winning Spiced Raw Hot Chocolate is simply divine.